"When you need professional support for your server systems"
GSC Limited was not only one of the first companies to offer English hardware and software in Japan, but has been a computer maintenance service company for many years. 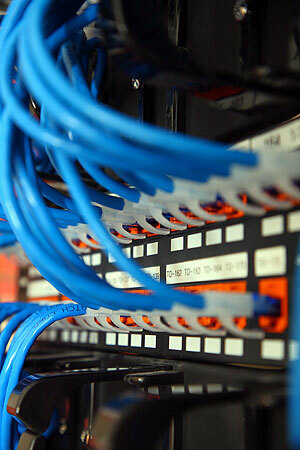 Our clients include Japanese and foreign companies, and foreign embassies; where we setup and maintain computer networks. Our cost-effective services are specially geared towards companies that do not have their own IT staff. Our service contracts cost a fraction of hiring a system administrator, and are best suited for small to mid-size companies that need a bilingual computing environment. Companies that are going to set up an office. For them we can take care of all the hardware, software, planning, maintenance.....all under one roof. Companies that already have a network set up but are not knowledgeable about its maintenance and troubleshooting, and who have no internal staff that is qualified to handle such matters. Companies that have a number of "stand alone" computers that are not networked together, hence not using the full efficiency of a networked office. Besides the small cost of having computer specialists "on-call", one of the main benefits is the advice that only GSC can give. As a hardware reseller we have access to all the new software and hardware newly released in the market. We are constantly reviewing, testing and applying such hardware/software. This keeps us up-to-date on the newer, better ways of doing things. This knowledge we pass on to our customers, something an in-house System Administrator could hardly provide given the rate of change in the computer world.